Your one stop place to find out the latest news, products and events related to the windenergy industry. 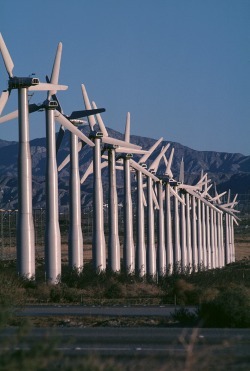 Research wind farms, windturbines, events, news and dicover the best technology for wind energy. Discover existing and planned Windfarm projects. Research various Wind turbine technology. Windfarms - Browse our directory of windfarms worldwide. Includes windfarm data, specifications, locations, and contact information. Catch up on the latest wind energy news. Windfarms, windturbines, News, Blogs, RFP, Forum, Companies, Products. Vestas has received an order for 37 units of the V90-3.0 MW wind turbine for a wind farm project in South Australia. The order comprises supply, installation, commissioning as well as a 10-year service greement. The order also includes a VestasOnline® Business SCADA solution. The order for the Waterloo Wind Farm project has been placed by Roaring 40s Renewable Energy Pty Ltd – a partnership between energy giants China Light & Power (CLP) Group and Hydro Tasmania – who has been a long-term Vestas customer through three existing wind farm projects in Australia.